The risk of developing dangerous blood clots doubles after travel lasting four hours or more, research shows. 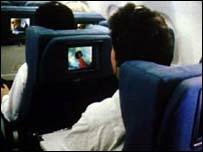 The risk applies to plane, train, bus or automobile passengers who remain seated and immobile, the World Health Organization found. Blood clots can form in the lower limbs during long periods of immobility - and can kill if they travel to the lungs. But WHO cautions that the absolute risk remains relatively low - at about one in 6,000 passengers. Passengers taking multiple flights over a short period of time are also at higher risk, says WHO. This is because the risk of venous thromboembolism (VTE) - the collective name for DVTs and pulmonary embolisms (clots in the lungs) - does not go away completely after a flight is over, and risk remains elevated for about four weeks. The report, commissioned in 2001 shortly after media and public attention on VTE following the death from pulmonary embolism of a young English woman who returned on a long-haul flight from Australia, confirms that a number of other factors increase the risk of clots during travel. These include obesity, being very tall or very short (taller than 1.9m or shorter than 1.6m), use of oral contraceptives, and inherited blood disorders leading to increased clotting tendency. WHO spokeswoman Dr Catherine Le Galès-Camus said travellers should not be alarmed by the findings. "The study does confirm that there is an increased risk of venous thromboembolism during travel where the passenger is seated and immobile over four hours, whether in a plane, train, bus or car. "However, it is important to remember that the risk of developing VTE when travelling remains relatively low," she said. Although the researchers did not look at what individuals can do to guard against clots, experts already know of some effective preventive measures. For example, exercising the calf muscles with up-and-down movements of the feet at the ankle joints helps keep the blood in the legs moving. People should also avoid wearing tight clothing during travel, as such garments may promote blood stagnation. Wearing compression stockings may also be advised for those at risk of developing a DVT. Mr Farrol Kahn, director of Aviation Health, said: "Evidence suggests there is a bigger DVT risk associated with flying than with any other mode of transport...partly because of prolonged sitting. "You are unlikely to sit immobile in a car for 12 hours. "We would recommend air travellers wear compression stockings and consider taking an aspirin before a long flight." WHO shied away from making specific recommendations of preventive measures such as blood-thinning medications and elastic stockings which seek to prevent clotting, saying more research was needed into possible side effects.